Knights are advised to ensure that, if they purchase items on the internet from, say, eBay or from other sources, that the items are in compliance with the current issue of the Statutes. Often regalia from the Order in other countries (particularly the U.S.A.) is being sold and is not the same. Also, there are still many obsolete items being sold, which have a place in a museum, but are not acceptable to wear. 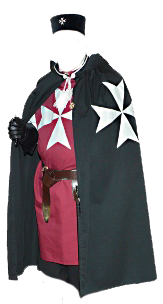 As the Provincial Warden of Regalia the purpose of my Office is to advise all members of the Province on the correct regalia to be worn and assist them in obtaining this if required. But it is not just to help candidates and new members, but also to advise and assist Knights on attaining the Chair, and gaining appointments or promotions, both in Provincial Priory and Great Priory. To carry out the responsibilities of the office correctly, it is essential to study the appropriate sections of the Statutes (165 - 194) as they are compulsory, not advisory. 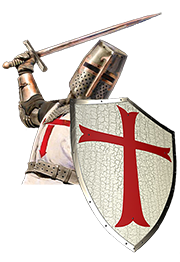 It is important that Knights obtain the items they will need well in advance to ensure that they are available at the required time. 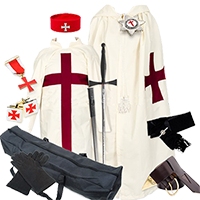 All items of Knight Templar and Malta Regalia can be obtained new through the Provincial Warden of Regalia at competitive prices, with a donation going to the Provincial Funds. A Price List/Order Form is available. Items must be paid for on ordering, and ample time should be allowed (preferably at least 4 weeks). There may also be some pre-used items for sale. 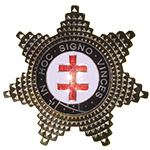 A full list of Regalia is available on the REGALIA page and informs you of the changes having been installed as a Preceptor, being honoured with Provincial or Great Priory rank.